In this study, we present and discuss the developments in the use of instruments of payments in the Netherlands from 2010 to 2016. During this period, the Dutch retail payments landscape has undergone major changes which have influenced the way consumers and merchants behave. The results come from a longitudinal survey on consumers’ payment behaviour carried out yearly since 2010 which gathers payment diary data from 119,117 Dutch consumers aged 12 years and older. The results reveal a gradual substitution of cash by debit card payments between 2010 and 2016. 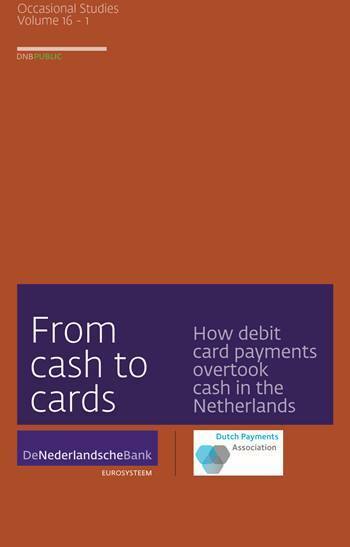 In 2015 Dutch consumers for the first time made more payments with debit cards than with cash.